If you are planning to buy a serger, Brother is indeed the undisputed leader you can count on. But which one model of the brother will be your final choice? Yes, my Brother Serger reviews can help you to close view the best serger machines. 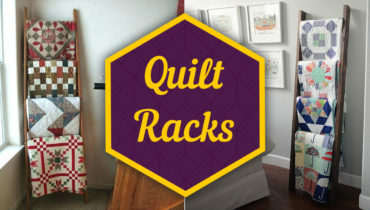 Brother International Corporation has earned its reputation as a leading vendor of state-of-the-art products for home sewing and embroidery pros. The company is acknowledged for its high-quality, hi-tech machines and accessories, offering user-friendliness and flexibility at reasonable price ranges. Like me, you must be confused in cherry picking the Brother Serger Machines to buy. It’s true that all top models cannot be your cup of tea! Furthermore, you stitching need and style may not match with others, so how the Brother Serger reviews will help. There are different types of Brother Sergers, but all Brothers serger sewing machine models will not keep you happy. First of all, you have to understand your stitching need, level of experience, and the type of stitches mostly you deal with. Next, your budget and user-friendliness are the other factors you have to check for the top rated Brother Sergers you have liked so far. Always select a user-friendly serger sewing machine. 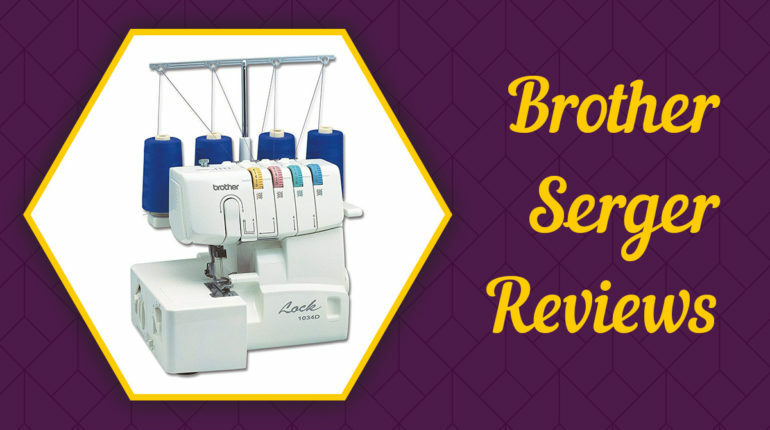 Now it is important that before we start reading the Brother Serger reviews, we have to outline the ideal features of a serger machine of your choice. Once the benchmark is set, it will be easier to pick a Brother Serger sewing machine model as the final choice. Lastly, an unbiased Brother Serger comparison will definitely help you to buy the most suitable Brother Serger machine. Size: 11.8" x 11.0" x 13.4"
Finding a user-friendly and fully functional sewing machine and serger in one is the dreams of every sewing machine users. If you have decided to buy Brother 1034D Serger, you have hit the bull’s eye. It’s a versatile sewing serger machine, you will love for sure. I love working with wide varieties of fabrics, and therefore I need a versatile serger that suits like a pro with almost all fabric types. Brother 1034D Serger is invincible for its versatility. 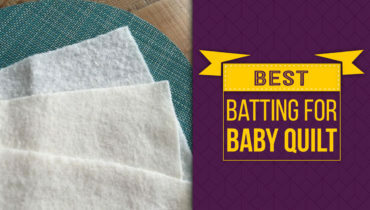 It works on stretchy fabrics, linen, formal wear, etc. with the same efficiency. No matter if you are after creating beautiful ruffles or embellishing edges, Brother 1034D Serger will surely keep you happy! You can count on this sewer serger. The serger is user-friendly, fast, and it provides multi-stitch options. Let’s check the prime features of this Brothers Serger sewing machine. 2 needles, 3-4 threads with easy color code. Different stitch options available: these are 4 thread overlock, 3 thread overlock, narrow hem, rolled hem, and ribbon lock stitches. Fast performance: the Brother Serger machine stitches 1300 stitches/minute. Differential feed facility for better compatibility with different types of fabrics. The stitch width adjustment is between 3mm and 7mm. The pressure foot pressure adjustment dial is an added advantage. Free arm for sewing sleeves and cuffs. The retractable knife blade is an added precaution on using this easy thread serger. Built-in storage space for keeping accessory and tools will keep you super organized. This Brother Serger Machine uses a standard sewing needle machine. Simple to thread via its 3/4 function. Rolled hems can be performed only on certain fabrics. It doesn’t support cover lock stitch and chain stitch. 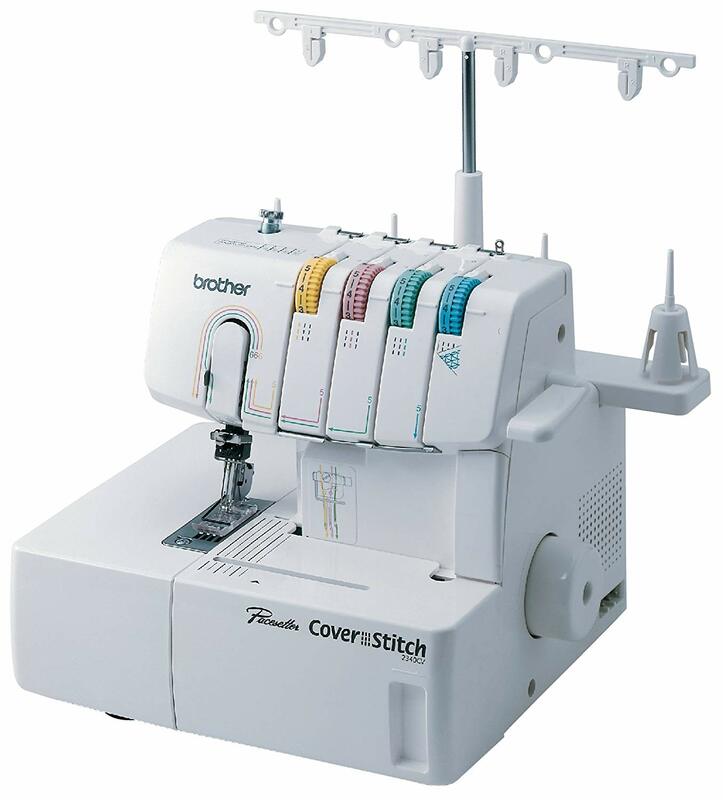 If you are a pro in stitching and you work on the wide range of fabrics, Brother 2340CV Serger will perhaps suit you. When I had checked the Brother serger, the first point that attracted me was its compact design. My emotional attachment reached at cloud nine when I checked that the serger works fine both for decorative and constructive projects. This Brothers overlock sewing machine is not for you if you are not a veteran sewer. When I check this serger sewing machine, I find it portable, smart, functional but at the same time, it is multiple features loaded. What I felt obvious that beginners might find this Brother model somehow tricky to manage. I researched online and found that the Brother 2340CV model runs on Brother's advanced technology, hence offers a unique scope of creativity. The sewing machine is built with features like tri-cover stitch, narrow and cover stitch, easy looper threading, dials for stitch length adjustment, pressure foot dial, etc. Differential fabric feed for improved stitch quality. 2-needle, 2-3-4 thread cover stitch only. Fast & user-friendly looper threading system. Dial adjustment to fix stitch length. Stitch length can be varied between 2mm and 4mm. Slide lever adjustment for differential feed. Reduces the discrepancy of the wavy or stretched look of stitches on fabrics. No provision of free arm. Do you want to buy a competent professional serger loaded with accessories and features with excellent user experience? If yes, your safe bait will be the Brother 3234DT 2, 3, or 4 thread serger with differential feed. Now, you may ask me what makes the Brother 2, 3, 4 thread serger a safe buy. No matter if you an amateur or a professional sewer! User experience and versatility are the basic expectation of the serger you will be purchasing. Exactly, this Brother 3234DT 2, 3, or 4 Thread Serger will care your need. It is the safest buy in Brother Serger product range for its supportive instructions by video tutorial, user manual, and color-coded lay-in threading. The accessory list is also impressive. It includes a wide table, a standard foot, blind-stitch foot, gathering-foot, a customized soft cover and some other maintenance related accessories. I hope, exactly like me, you have started assessing the Brother 3234DT Thread Serger model as your final choice. But I will strongly recommend checking its main features, which I love to call the USP of buying this Brother Product. The availability of the retractable knife blade is a definite gain. The threading can be difficult for beginners. I have tried to give you the best details of the Brother sergers like Brother 1034D Serger, Brother 2340CV, and Brother 3234DT 2, 3, or 4 thread serger with differential feed. However, the ultimate aim of my Brother Serger reviews is to help you in buying the best Brother Serger machine for you. 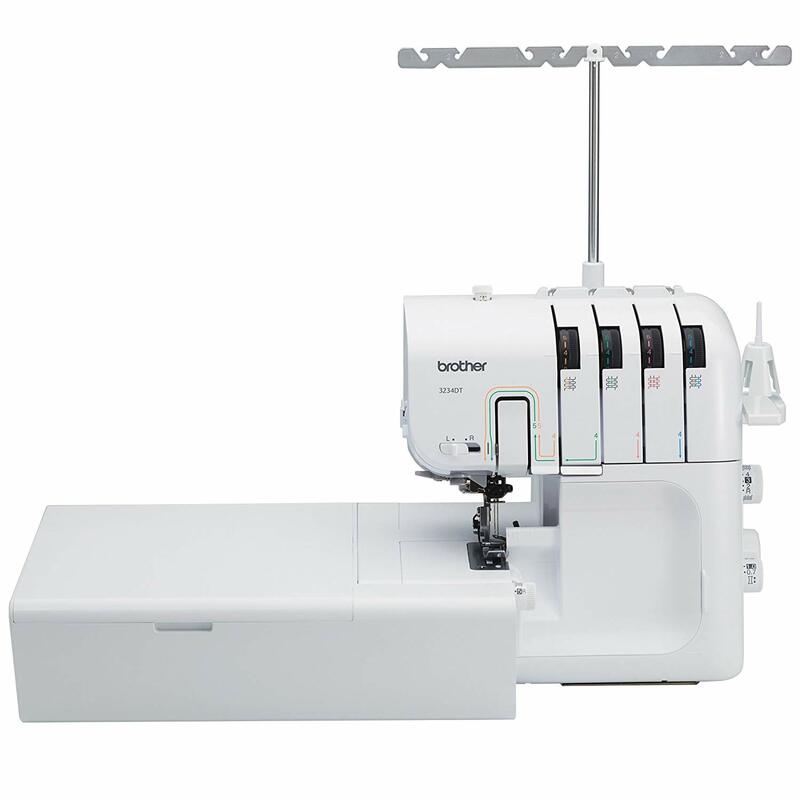 Brother 1034D Serger is one of the best sergers for beginners, and it will let you enjoy the facility of a wide variety of stitches. Brother 2340CV Serger offers sturdy performance. However, go for it if you are an experienced sewer. There is no free arm, so you should have the best maneuverity of the fabric to manage your project. 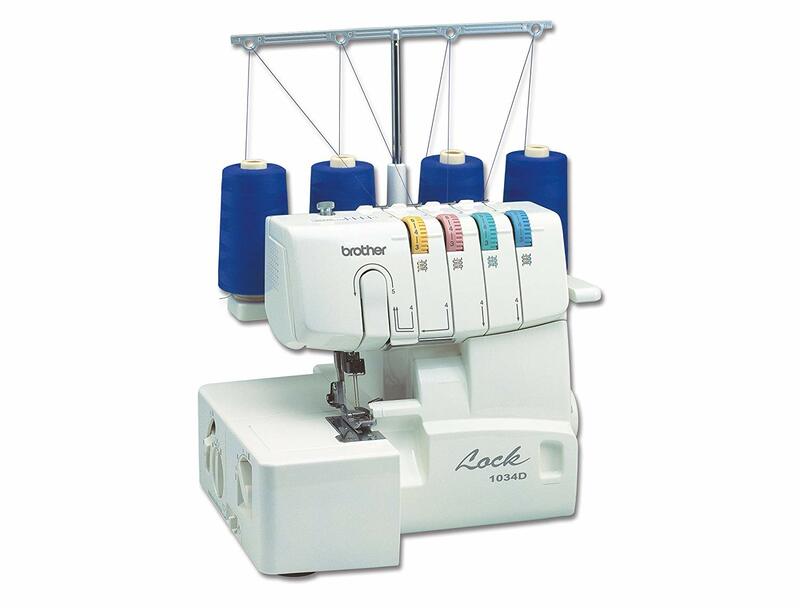 Brother 3234DT 2, 3, or 4 thread serger is a kind of versatile all-purpose serger. However, as told in Brother Serger reviews, it’s not a sewing serger machine. Go for it if you have adequate command over threading and you need the serger only for serging.